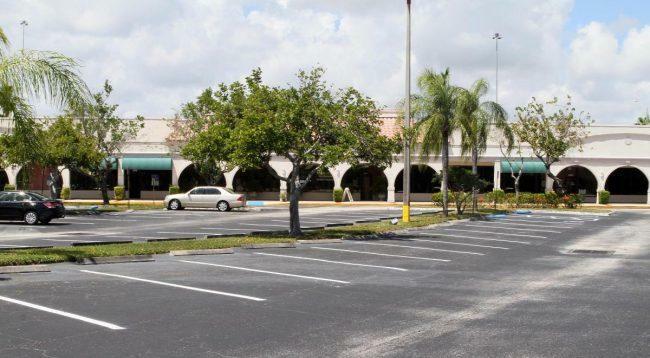 Kimco Realty Corp. scrapped its plan to redevelop a shopping center in Palm Beach Gardens and sold the property for $16.5 million. An entity called Drury at 2019 acquired the 13.7-acre Palm Beach Gardens Plaza for $1.2 million per acre. The Palm Beach Post also reported that the buyer shares an address in St. Louis with the Drury Hotels chain. Kimco sued the Palm Beach Gardens government in 2013 after the city rejected the company’s proposal to put a BJ’s Wholesale Club store at the shopping center. In January 2017, the city settled the lawsuit, and terms of the settlement required Kimco to redevelop the shopping center at Interstate 95 and PGA Boulevard, formerly known as Loehmann’s Plaza. Kimco, a New Hyde Park, New York-based real estate investment trust, had planned a redevelopment that would have included 225 apartments, office space, and a three-story Life Time fitness club. Palm Beach Gardens Plaza is near a site at PGA Boulevard and Alternate A1A where the Tri-Rail passenger train service is expected to build a station.